Women now account for up to half of the country's students and workforce professionals (see Equality and Leadership). The forward-thinking nature of past legislation accounts for a large portion of women's present success in the workplace and while there are still a number of inequities, the myriad of opportunities which now promote women are slowly but surely helping to close the gap. 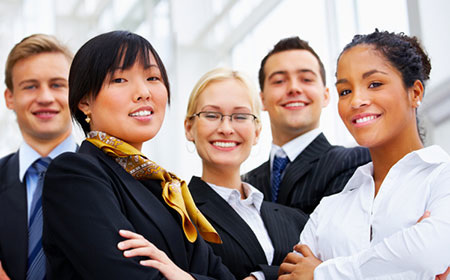 JP Morgan helps women re-enter the workforce. Think back to or reference the questions at the end of Women and WFED, did the broadcast or video mirror or pair with your thoughts and/or experiences? How or how not? This is but one of the many informational graphics provided by the Council of Economic Advisor's Women's Participation in Education and the Workforce (2014). 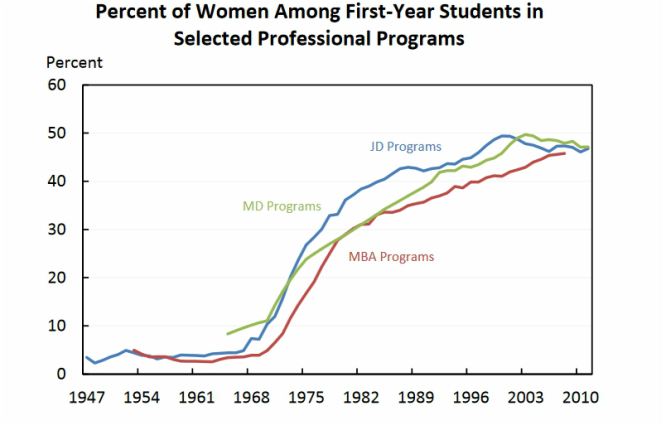 It further illustrates the progress of women, as they "account for almost half of students in JD, MBA, and MD programs, up from less than 10 percent in the 1960's" (Bureau of Labor Statistics, 2014).